Hey everyone! Happy Chinese New Year to those of you who celebrate it. 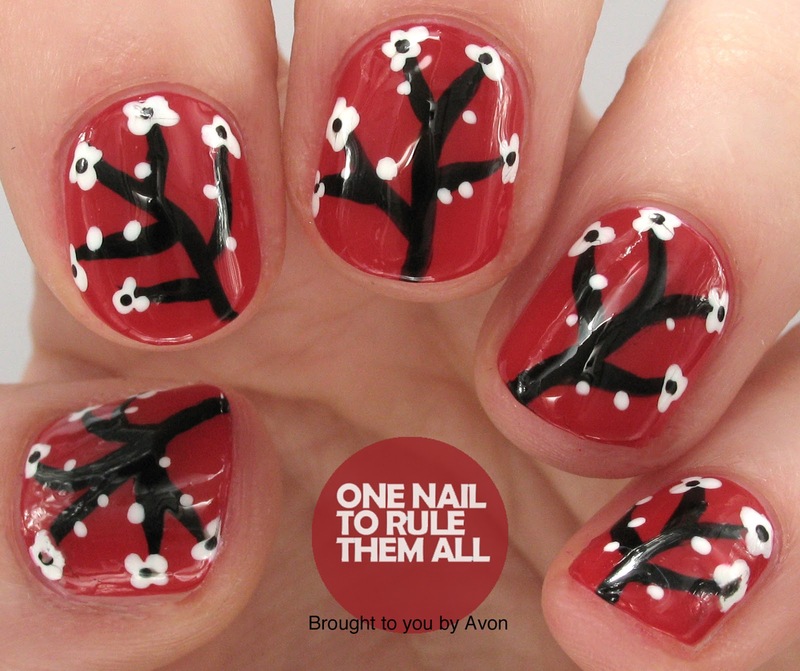 I've collaborated with Avon to do some simple cherry blossom nails for the day. I know cherry blossom has been done a thousand times, but I think it always looks nice and it's an easy design to create but still have it look good! These didn't take long at all, probably around 20 minutes, despite the fact that I was distracted watching Call The Midwife whilst I did them. It feels like the only time I get to watch TV anymore is when I'm painting my nails, but it definitely slows me down. Tomorrow I'm going away for the weekend with my boyfriend and I can't wait, but it does mean that there might be radio silence from me for a couple of days I'm afraid! These are lovely, Alice! I love the simplicity of them and I agree! 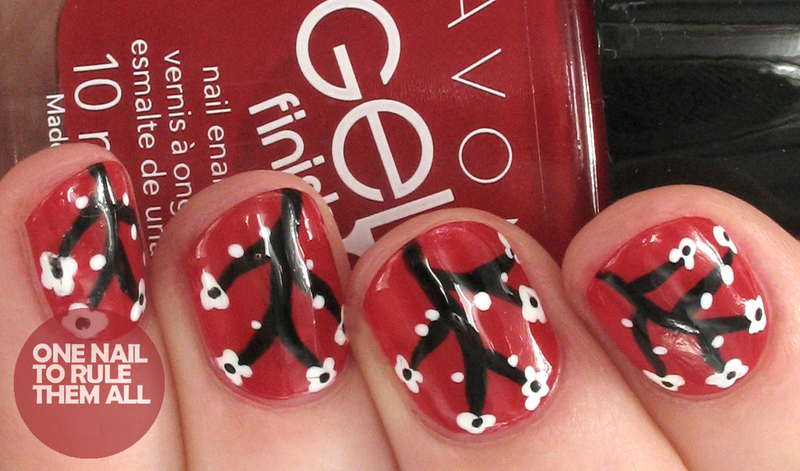 I tend to have to catch up on TV shows during nail art sessions as well! Bring on the cherry blossom weather! 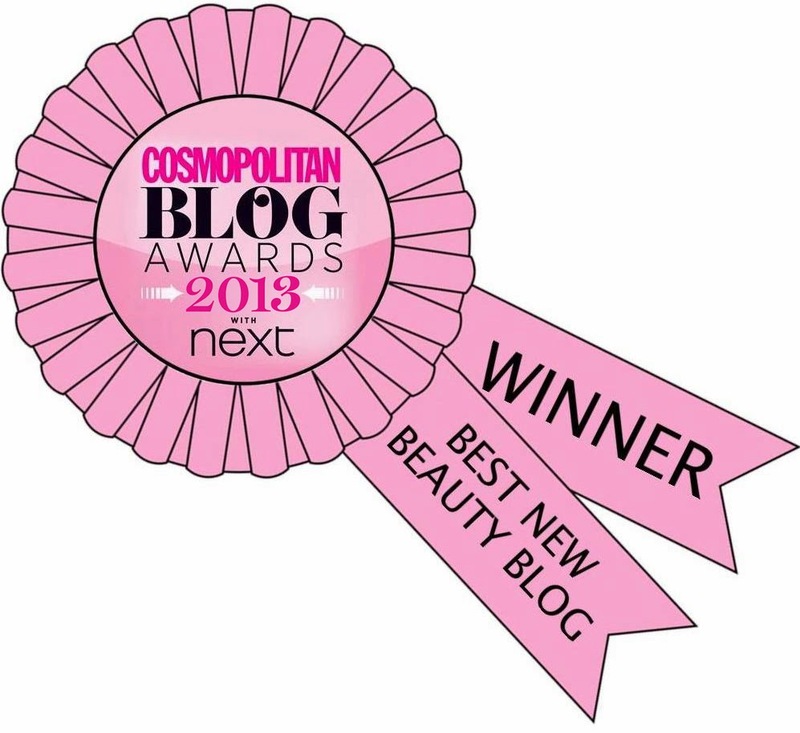 I can't wait, and these are lovely! This looks so pretty. I hope you had fun with your bf!